Enter the haunted forest and you will encounter gaggles of ghosts, ghouls, and goblins! Continue into the Haunted Firehouse and you may find yourself face to face with Jason Voorhees and his chainsaw or a maniacal Mike Myers! For the second year in a row, Bailey Haunted Firehouse wins best haunt in Mississippi! 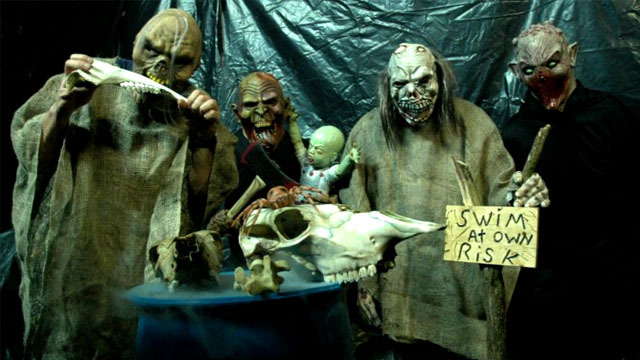 The Firehouse has been scaring the pants off adults and kids alike since 2009. Jamie said, “I literally left running! It was well worth it! My heart is still pounding…” The best part? Bailey Haunted Firehouse is a charity event and the cost of admission is only $10! This is their final year at the Hurricane Haunted House and Forest, they promise it will be the best yet.